Broadway legend Ethel Merman moves to Danfield, but does so incognito as Agnes Schmidlapp at the suggestion of Mr. Mooney so she can buy a house without paying inflated prices. Lucy's lies about being best friends with Ethel Merman come back to bite her. Lucy has promised her son Jerry she can deliver Ethel Merman to perform for his Cub Scouts charity. The boys now expect Lucy to get the star for their Scout show. Conveniently, Lucy spots her at the bank but Merman passes off with her phony name, Agnes Schmidlapp. Lucy decides Ms. Schmidlapp looks enough like Ms. Merman to pass physically, if she can only teach her how to sing like the Broadway legend. Lucy decides to teach her how to sing like the Merm to pass her off as the star and save face with her son. Soon, "Agnes" is starring in the boys' show masquerading as Ethel. Special Notes: This show is the first of a two-part story. 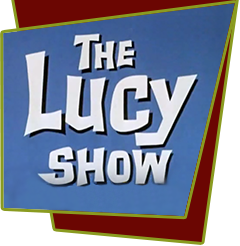 Originally written as a single episode, it was altered to be a duet between Merman and Lucille, with Ethel belting the lyrics and Lucy acting them out. They had so much fun with the singing lesson scene, that the show is expanded into a two parter. Due to prior commitments, Ethel could not come back for four weeks. The last scene of the first part was rewritten and reshot at that time but by then, Lucille had begun wearing a totally different wig, Vivian had taken a holiday and was tanned, and Ethel had changed the color of her hair from dark brown to auburn. Notice, too, that Lucille has trouble making the phonograph work. They had to stop filming to get the instrument going properly.